This week, a [paper] describing a new fossil bird was published. Lots of cool things going on with this fossil. The fossil was found on Navajo lands in New Mexico. It is from the Early Paleocene (around 62 million years ago), only a few million years after the end-Cretaceous extinction. The fossil preserves parts of the arms and legs, a couple of vertebrae, and a tiny bit of the skull. 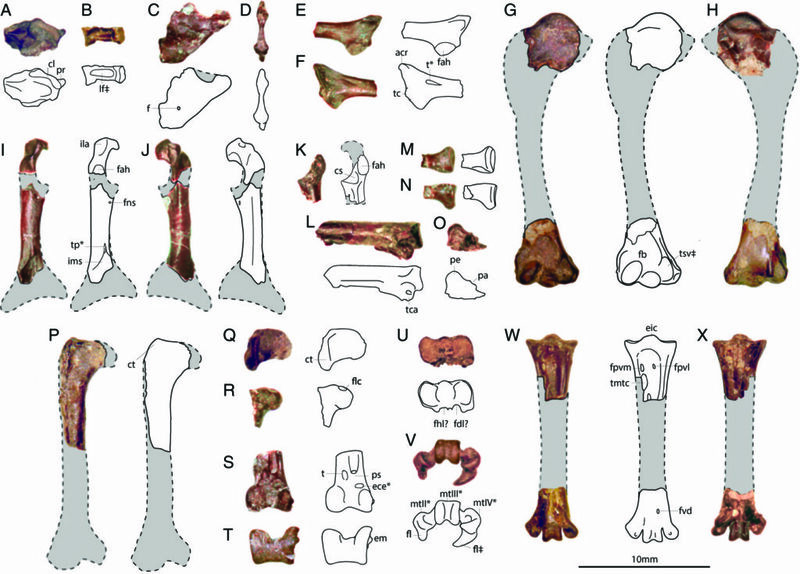 Figure 2 from the paper showing the different parts of the fossil. Its feet are particularly interesting. This little bird had the ability to turn one of its toes backward whenever it wanted to. Most birds have 1 toe that’s permanently backwards for grasping branches. Some birds, like parrots and woodpeckers, have two toes like this. This new bird could decide when it wanted a second toe pointed backwards. 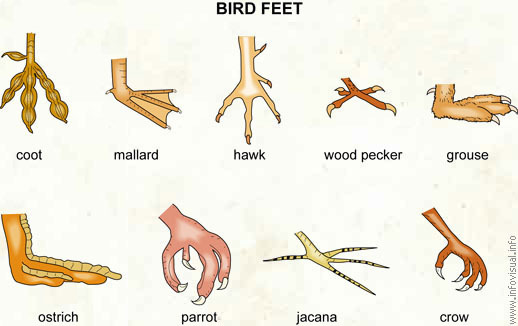 Different bird feet. The parrot and woodpecker have two toes turned backward. Most birds only have one toe turned backward. From here. By comparing it to other birds in a phylogenetic analysis, the authors discovered that it’s the oldest mousebird ever found. Today, there are only 6 species of mousebirds and they all live in Africa. 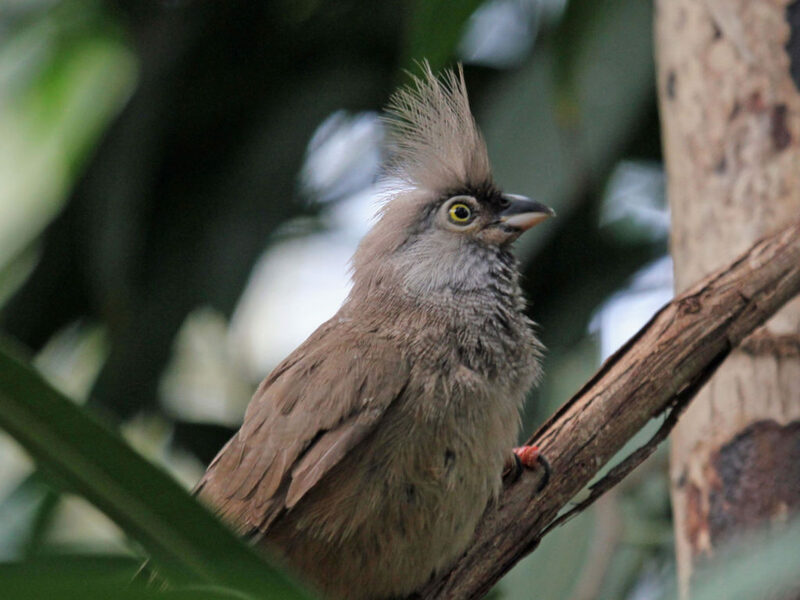 A modern mousebird. From here. 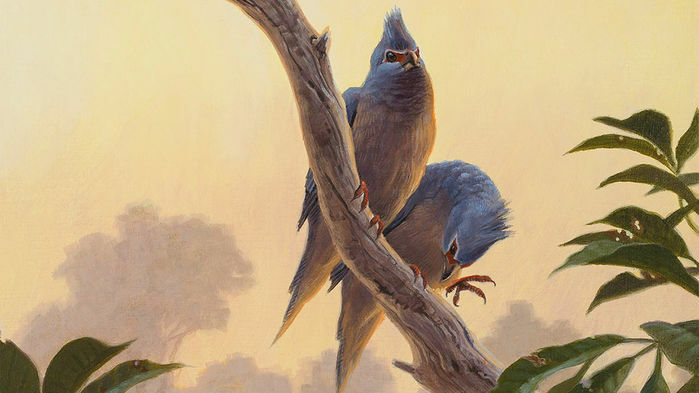 The fossil is a new species of mousebird. The authors named it Tsidiiyazhi abini, meaning “little bird” and “morning” in Navajo. The cool thing is, because this fossil is so old, it pushes back the origin of several bird lineages into the Paleocene. This means that most of the modern bird groups were already present only 4 million years after the extinction! Birds evolved very quickly after the extinction event (a process called an explosive radiation). Flowering plants (the plants that produce fruits and nuts) were also explosively radiating at this time and probably provided homes and food for all of these bird groups. An illustration of what Tsidiiyazhi abini might have looked like. By S. Murtha. This entry was posted in English and tagged Mousebird, Navajo, New Mexico, Paleocene, Tsidiiyazhi abini. Bookmark the permalink.